For my project to get M3 picking lists in Google Glass, I had to learn how to retrieve in Java an image that is stored in Infor Document Archive. The technique is probably well explained and documented somewhere, but I don’t work with Document Archive so I didn’t know where to start. So as a starting point, I used one of the Java examples built-in Document Archive 10.1.x, and from there I adapted the code for the older Document Archive 10.0.x. 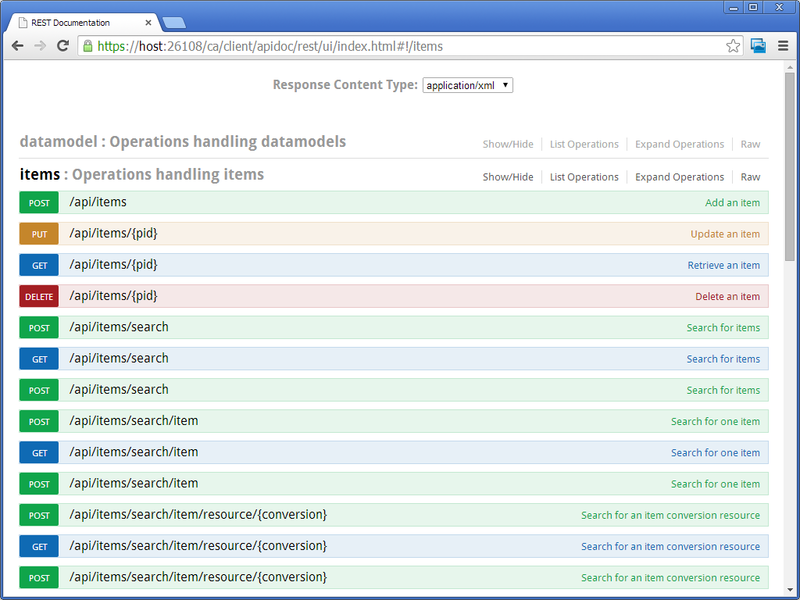 I share my results here with you in case you too need to retrieve resources in Java from Document Archive and don’t know where to start. I will later use that code in my Infor Grid application to insert the picture of the item in the picking list in Glass. 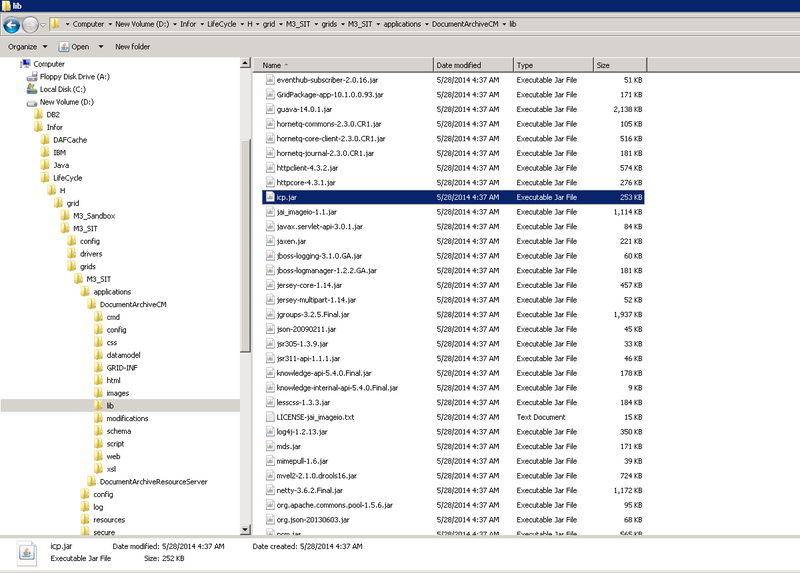 Document Archive 10.1.x is built-in with some examples in Java to connect to the server and retrieve resources. I compiled that code and it ran out of the box. I then used it as a basis to adapt the code to the older Document Archive 10.0.x for which I couldn’t find built-in examples. I will show you the code for both versions. I will also show how to encode the bytes to Base64 as I might need it later for the Google Glass Mirror API. 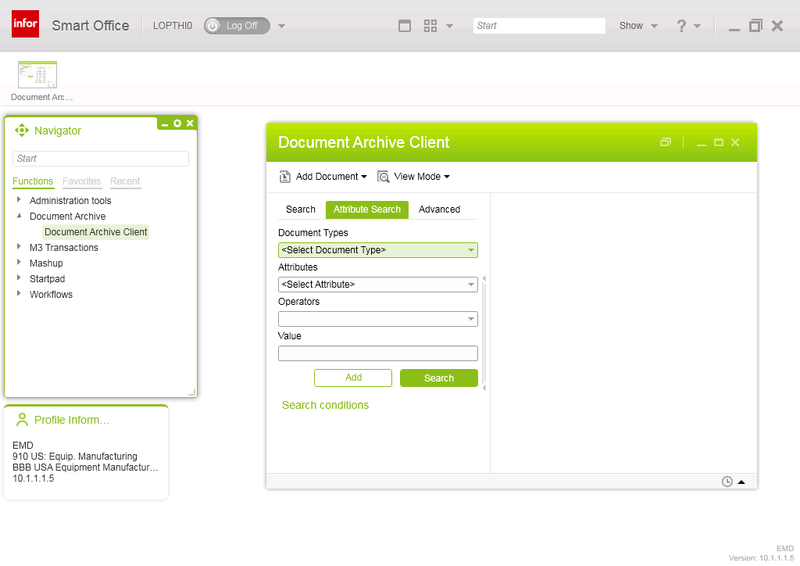 The application will connect to Document Archive, will search the image by query, will retrieve the resource and will save it to a file, for example to JPEG. The application will also show the Base64-encoded bytes of the resource. 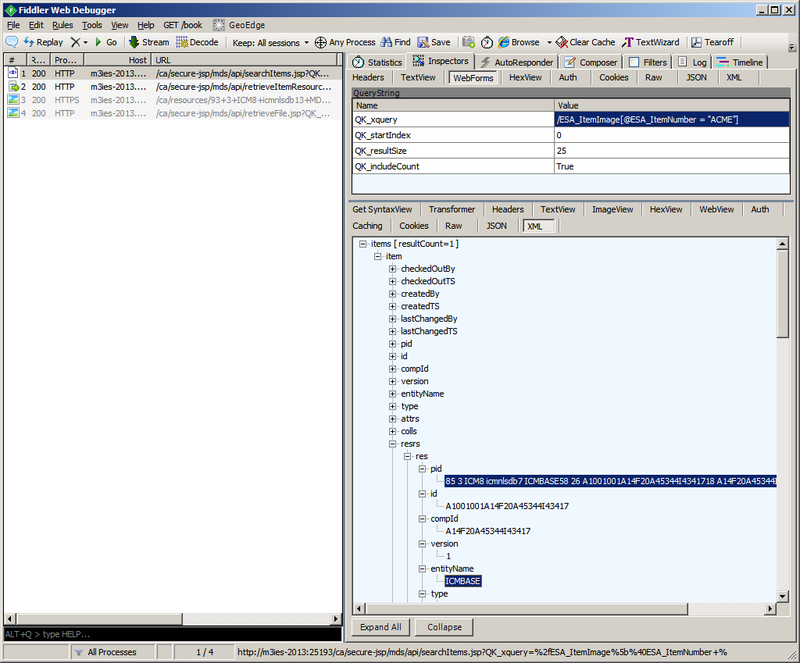 Here is the Java source code for the older Document Archive 10.0.x. It is very similar to the newer code above, the package names are different (intentia instead of infor) and some methods are older. I had to decompile icp.jar to learn and adapt the code. That’s it. If you liked this, please click Like, leave me your thoughts in the comments below, and share your solutions by writing posts. Also, please join the campaign and sign the petition to Infor so they make more of their source code available such that we can all learn more and make better solutions. 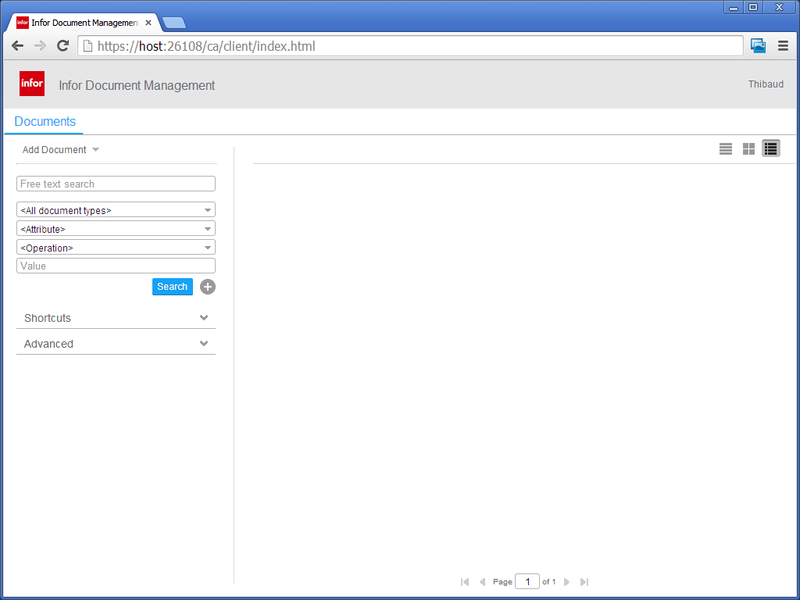 Today I will illustrate how to get an item image from Infor Document Archive. 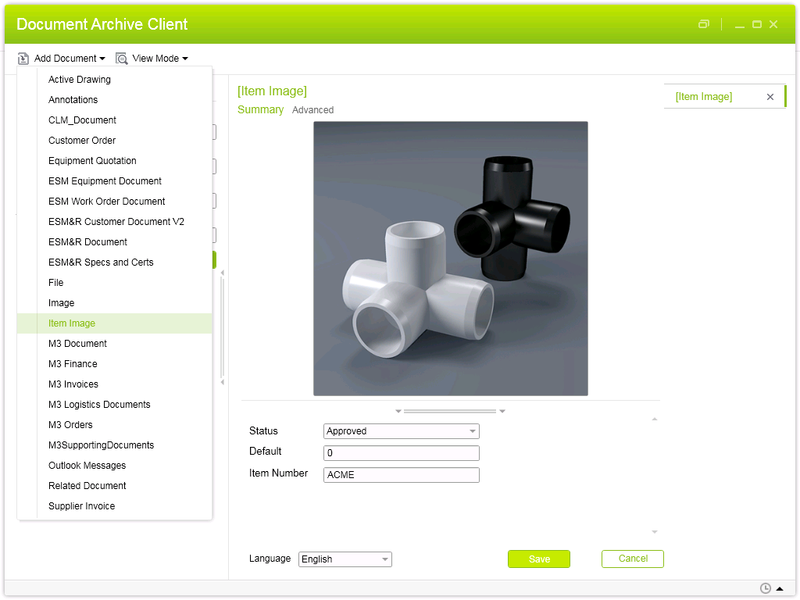 For that, I will use Document Archive Client to add an item image with the item number (ITNO) as an attribute, and I will retrieve the item image using the Document Archive REST API. I will do the illustration with two servers on different version numbers, one server running Document Archive version 10.0.2.4.28 and the other server running version 10.1.0.0.93. I will later use these steps for my Google Glass project to display in Glass the item image of each picking line. 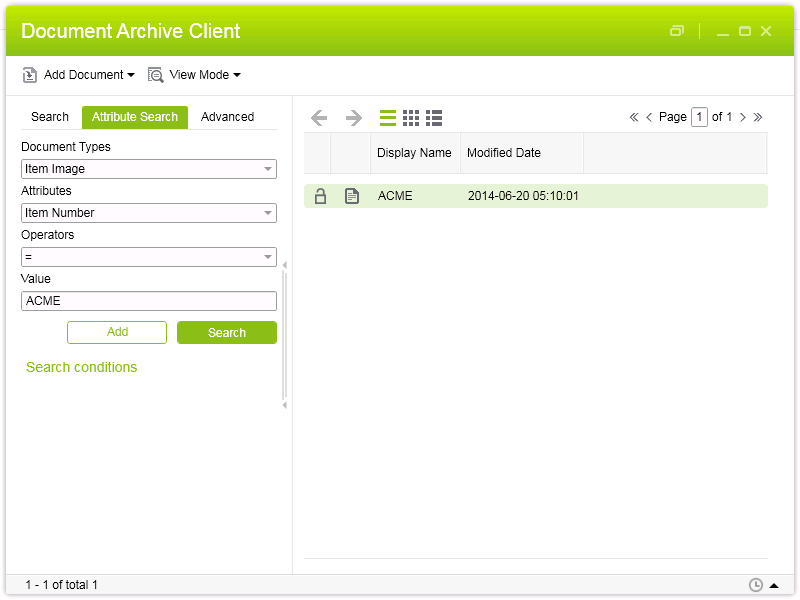 Document Archive has a web interface at /ca/index.html. Document Archive Client will return a list of possible matches, and for each match it will return the image converted into different sizes like original, preview, and thumbnail. 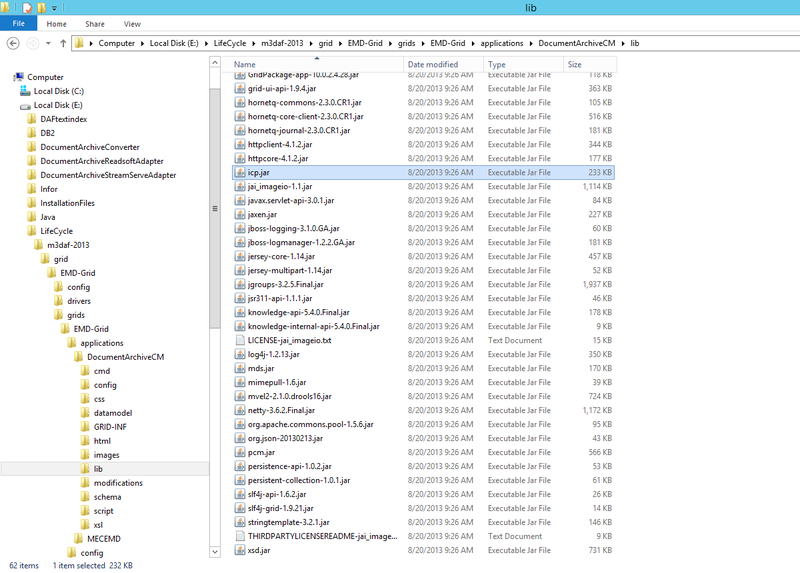 The server with Document Archive 10.0.x used the query /ESA_ItemImage[@ESA_ItemNumber = “ACME”], and the other server with Document Archive 10.1.x used the query /M3_ITEM_IMAGE[@M3_ITNO = “ACME”]. I’m not fully familiar with how Document Archive is configured, so I don’t know if the query is based on the version number or if somebody did a manual configuration. 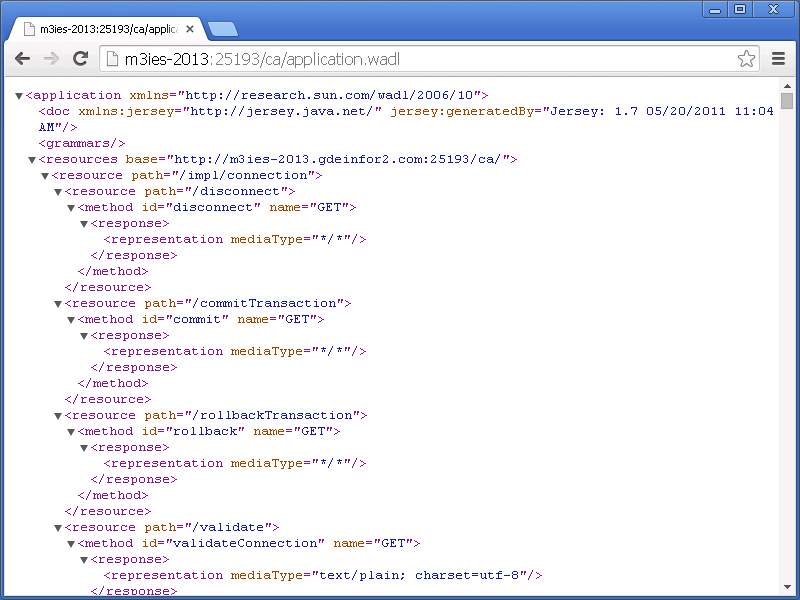 So check what the query is on your server. From the query, the server returns a list of matches, and for each match it gives the PID of the document and a list of resources with URLs to the item image in various sizes: original, preview, and thumbnail. 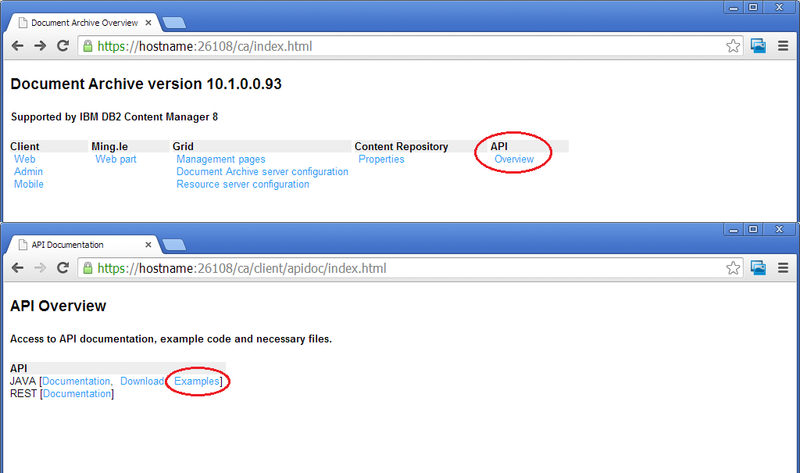 Document Archive has a REST API that we can access from http://host:port/ca . There are several API available to get the item image. Unfortunately, the WADL doesn’t mention the input parameter QK_xquery for the searchItems.jsp API, therefore there may be more undocumented API that also accept QK_xquery as an input parameter; to be tested. In some of my tests the server threw HTTP 401 Unauthorized which led me to believe the user/password was wrong. It turns out the Grid session provider didn’t allow HTTP and only allowed HTTPS. Very misleading error message. I got a lot of cryptic prolog errors: “Parsing error: Invalid input data: Content is not allowed in prolog. org.xml.sax.SAXParseException”. It seems to be a bug in Document Archive for POST methods and the workaround is to manually change the HTTP Request header to Content-Type: text/plain. I got a lot of inexplicable java.lang.NullPointerException even with the correct input parameters. I got a lot of inexplicable HTTP/1.1 500 Internal Server Error even with the correct input parameters. 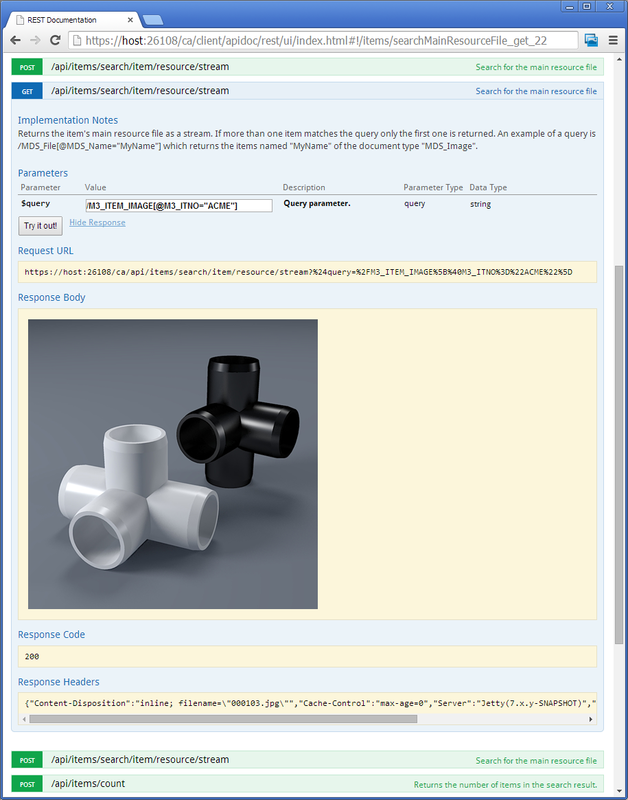 That was quick overview of how to add an item image by item number (ITNO) in Document Archive, and how to retrieve it with the REST API. That’s it! Please comment, like, share, follow, enjoy, author. Thank you.